Discover your inner chef with our range of cookware and bakeware. From durable cast iron pots to innovative heat technology frying pans, there’s everything you need to steam, boil, grill or fry. 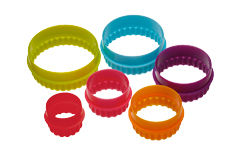 You can keep those tasty treats fresh with our range of clever storage solutions. 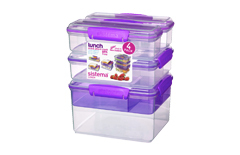 From lunchboxes to biscuit tins, make the most out of your kitchen, fridge and cupboard space. 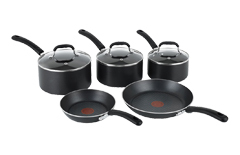 Take a look at our exciting cookware range, featuring pan sets, woks, cast iron skillets and frying pans. Find everything you need for delicious culinary creations. From everyday cookware to premium grade pots and pans, you can enjoy versatile cooking with professional results. Fill your home with the delicious smells of homemade bread and tasty cakes. Whether you’re just starting out or a fully fledged baking star, we’ve got everything you need to rustle up the perfect treats. 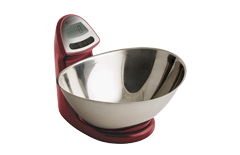 From loaf tins to mixing bowls, silicone to aluminium, search great brands and find the right tools for you. Get the essentials you need to make cooking as quick and easy as possible with our range of food preparation and kitchen accessories. Grate carrots, slice pizza or get creative in the kitchen. From spatulas to scales, tongs to potato mashers, find everything you need for fun and hassle-free cooking. Make the most of your kitchen space with intelligent storage. We’ve got everything you need to keep your food fresh and beautifully presented. Choose between stackable storage, airtight boxes, designer bread bins or herb racks designed to be seen. With practical and decorative storage solutions, we’ve got something for every kitchen.